Have fired 1,000s of these and never an issue. My most used ammo, been using it for years. Federal works. Good value, easy and fast, secure delivery, very fair price, $ usually beats my closest hometown options being Walmarts, gun shops and the range. Fired 200 rounds with perfect execution of my Springfield XD mod 2 Sub. Very happy with the ammo, price and the time that it arrived. 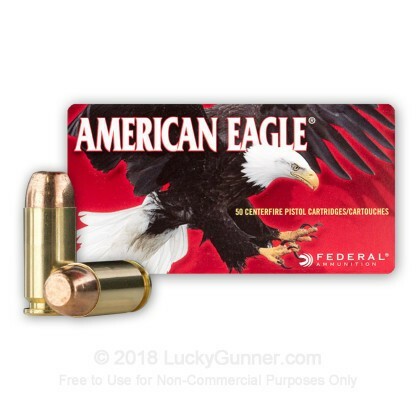 When i order any type of ammo i receive it very quickly from luckygunner. I've used Federal American Eagle before and found them to be up to par with any out there. 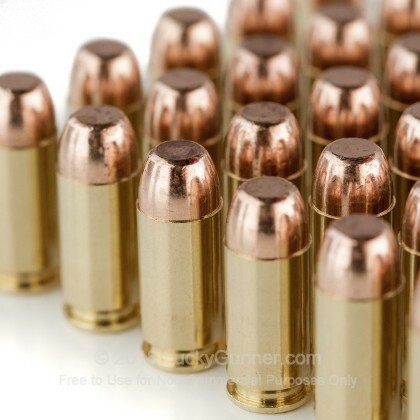 I used their ammo in my Rossi 357 magnum revolver and was so impressed that I ordered some for my new S&W M&P .40. I've shot about 200 rounds through it without a jam or misfire. I must also give Lucky Gunner two thumbs up; their shipping is faster than a speeding bullet :o My order arrived in only 2 days. I ordered on Monday and it arrived on Wednesday. Lucky Gunner is the best on the web! 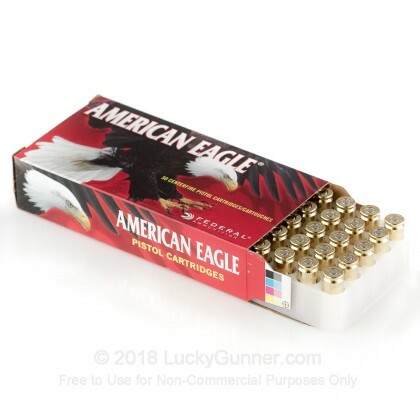 This ammo is clean, reliable and accurate. Priced slightly higher than some but worth that little bit extra. Luckygunner is the best on the web. Good quality at the best prices. Excellent ammo & service. I'll be back. Have been shooting this in my Walther P99 for years and only 1 FTF in hundreds of boxes. LG has excellent service, shipping, and pricing especially when compared to locally bought range ammo and have earned a repeat customer. Never jams, works great in my glock 27, great value. 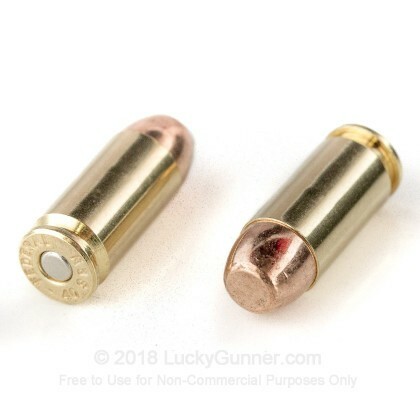 I never think about failure when using this ammo. 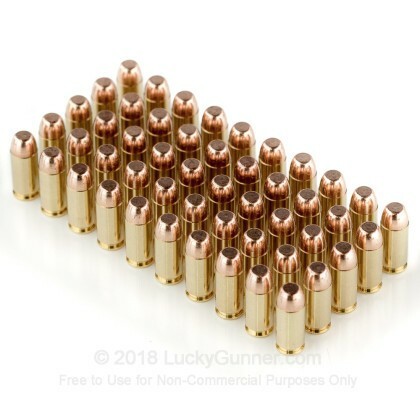 Using a Glock 22 at the range and haven't had any issues with this ammo. I typically run through several 200-300 rounds per week. This ammo will stay on my order sheet. Inexpensive and never misses fires. Great product. Just keep firing and firing and firing and firing...solid!! Good ammo. No problems.. My Glock 23 functions well with ammunition. 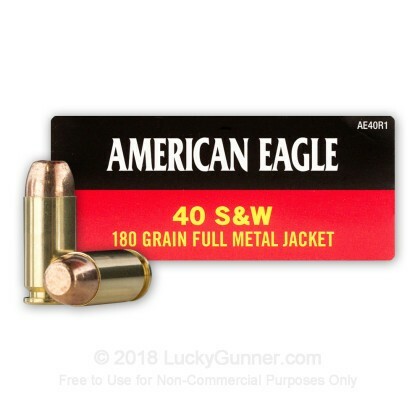 We also have this 40 S&W - 180 Grain FMJ - Federal American Eagle - 1000 Rounds ammo in stock in a bigger quantity.